Come watch Chinese mythology in a beautiful dance. The Dragon and Phoenix represent water and fire, which in turn each symbolize Yin and Yang, the two basic powers of Chinese philosophy responsible for movement and life. Flying and dancing together, these two powerful entities create graceful and powerful movements that bring life to the performance and delight their audience. All performers wear colorful cultural attire that will captivate everyone in the audience. This is a family friendly event. Join us to celebrate the beautiful Chinese culture and participate in the wonderful tradition of the Chinese New Year. The Chinese Folk Art Workshop aims to increase awareness of Chinese culture in the local community by performing Chinese folk arts at over 30 venues each year. 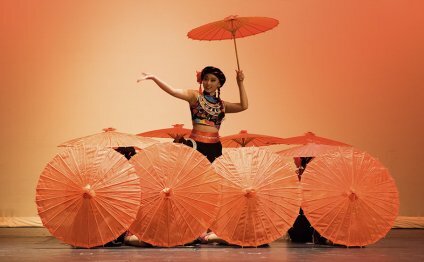 Its mission is to encourage Chinese-American young people to share their talents in traditional Chinese performance and visual arts with others. The Workshop’s work within the New England community was officially recognized on a national level when it was certified as a Gold Youth Organization through the President’s Volunteer Service Award Program.